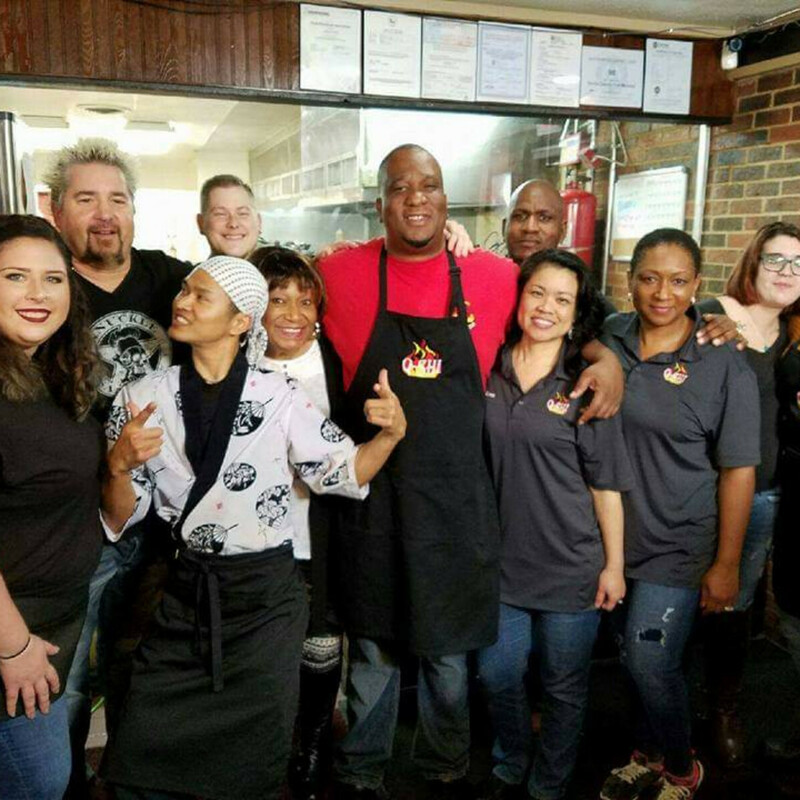 This week the Bayou City has become Flavortown. 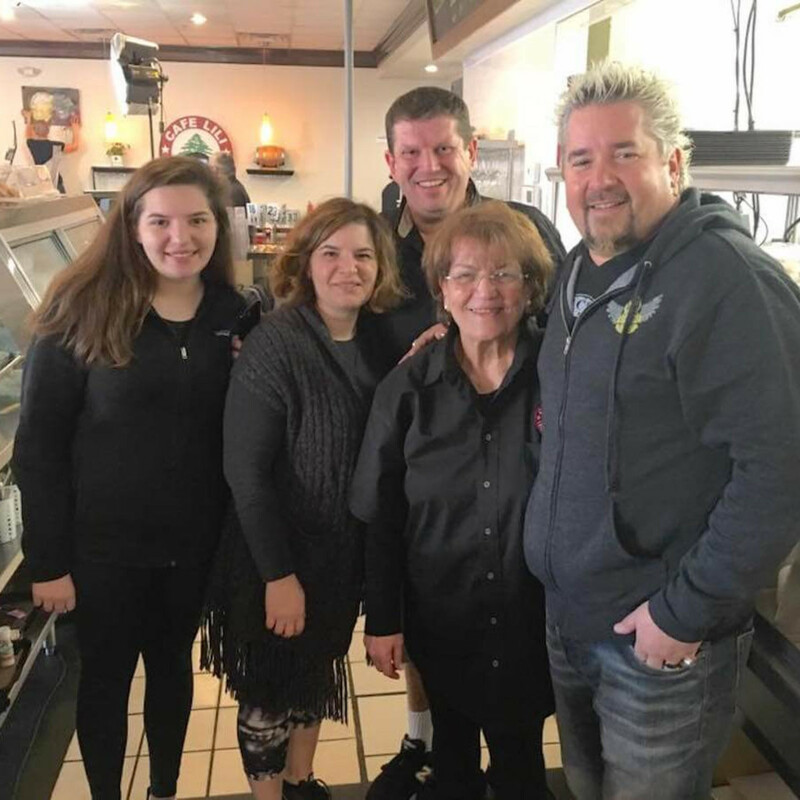 Celebrity chef, TV host, and author Guy Fieri has been in Houston since Monday filming at local restaurants for upcoming episodes of his popular Food Network show Diners, Drive-Ins and Dives. 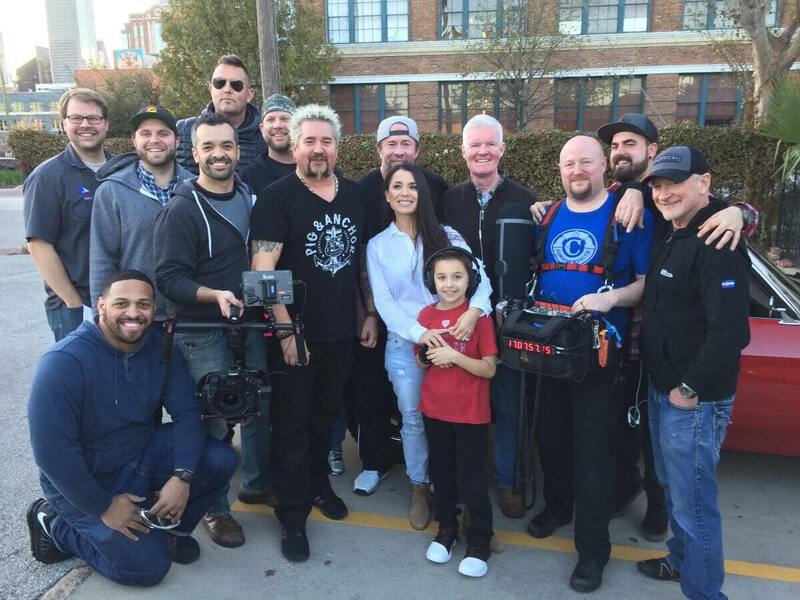 Fieri's visit appears to be the first time he's filmed in Houston since 2009, when his stops included Kenny & Ziggy's, Niko Niko's, the Red Lion Pub, Cafe Pita+, and Lankford Grocery. 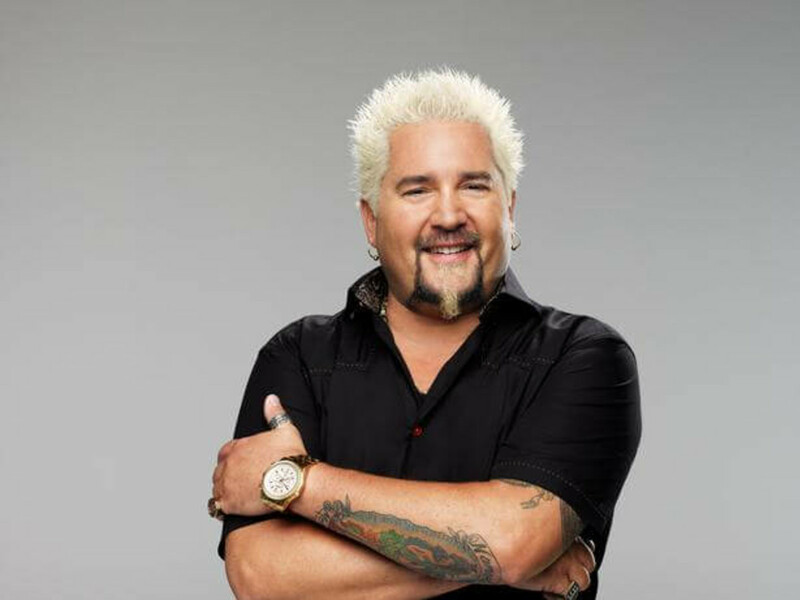 By poring through social media, CultureMap has identified at least six restaurants that are getting the Fieri treatment. 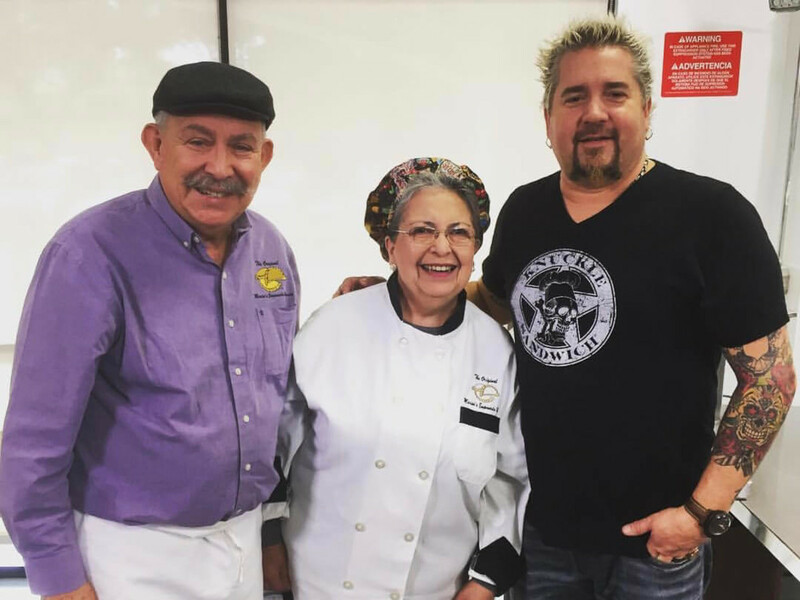 In Fieri's only tweet since his arrival, he's standing with Astros legend Jeff Bagwell outside of the Original Irma's, a downtown Mexican restaurant known for its eclectic decor, an oral menu that sometimes induces sticker shock, and delicious homestyle cuisine. 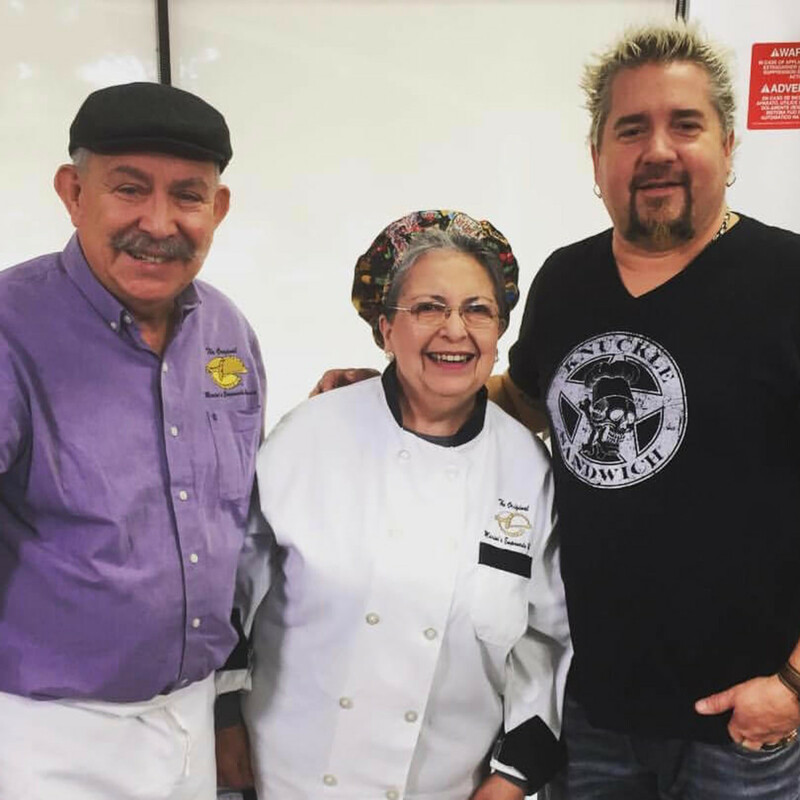 Bagwell isn't the only Houston sports hero that Fieri's met during his visit. 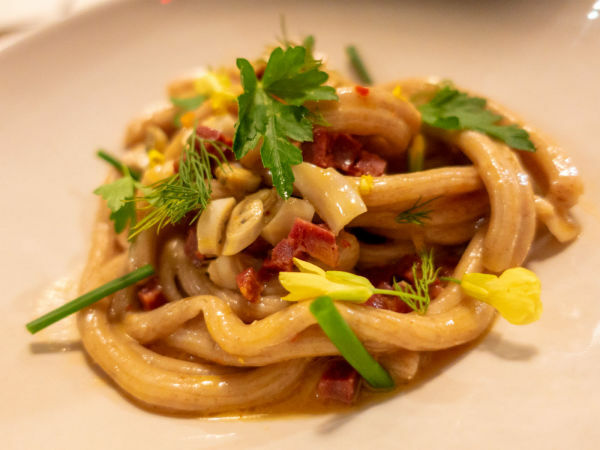 At Cuchara, the chef hung out with former Oilers quarterback Dan Pastorini. 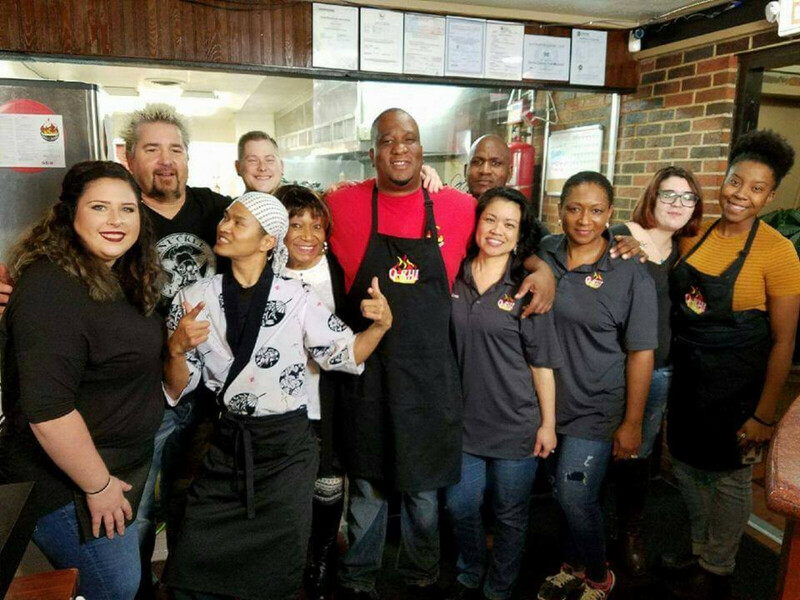 Of course Fieri's itinerary has included a number of restaurants that showcase Houston's diversity, including Jamaican restaurant Cool Runnings; Galleria-area Lebanese restaurant Cafe Lili; West Houston favorite The Original Marini's Empanada House; and Q-Shi, the Spring restaurant that blends barbecue and sushi, which sounds as though it would be pretty irresistible to the man who created Donkey Sauce. 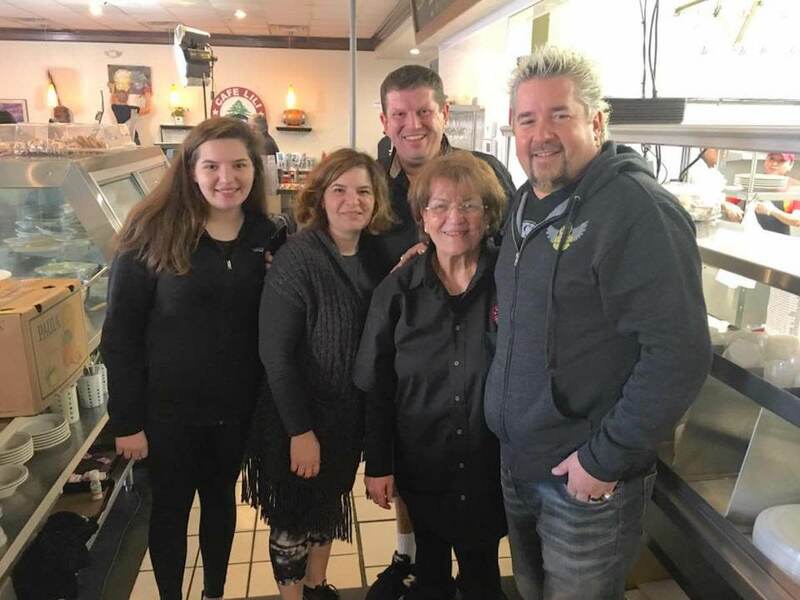 Kerry Stessel, administrator of Facebook group The Woodlands/Spring area Texas Foodie Club, documented Fieri's visit to Q-Shi with photos taken during the filming, including snapshots of Fieri's red Chevrolet Chevelle SS (instead of his signature Camaro) parked in front of the restaurant. 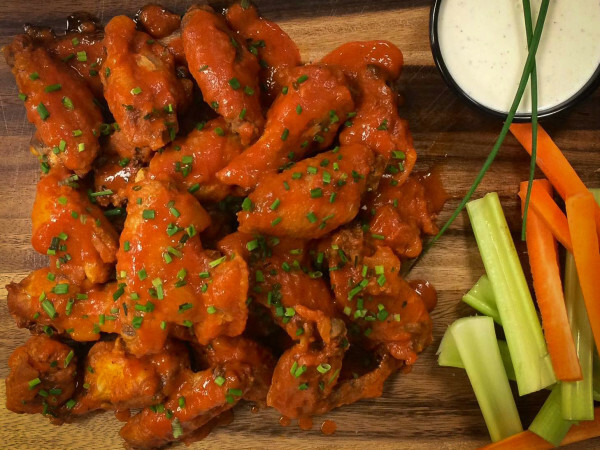 "I would like to congratulate our own local Ray Aker and his fantastic crew at Q-Shi BBQ and Sushi," Stessel writes. "I hope Q-Shi gets crazy busy from the well deserved exposure. Ray, you guys better hang on!" 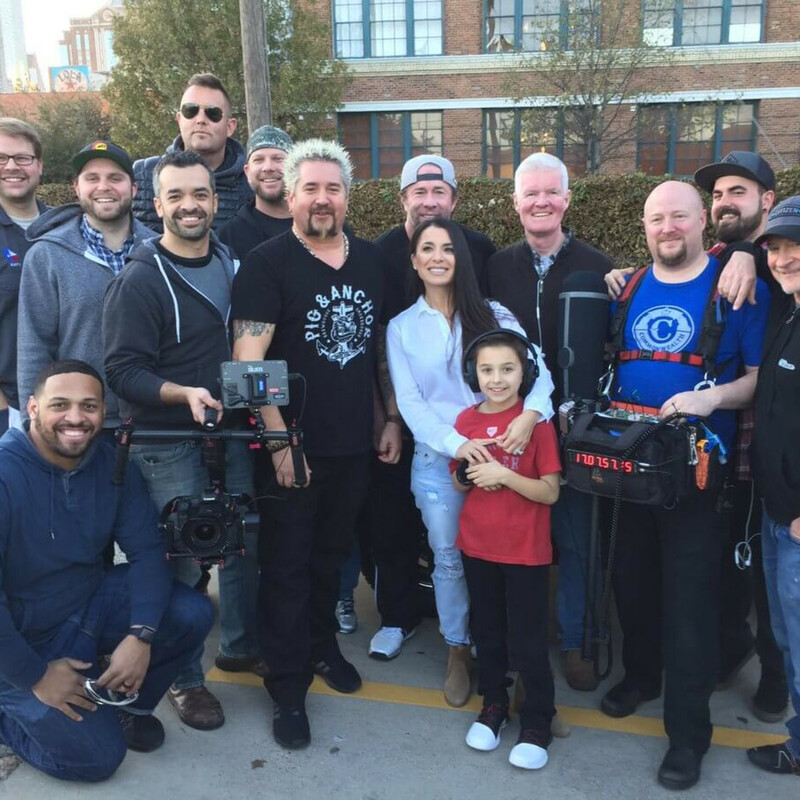 No word yet on whether Fieri has other stops to make or when the episodes featuring the Houston-area restaurants will air. 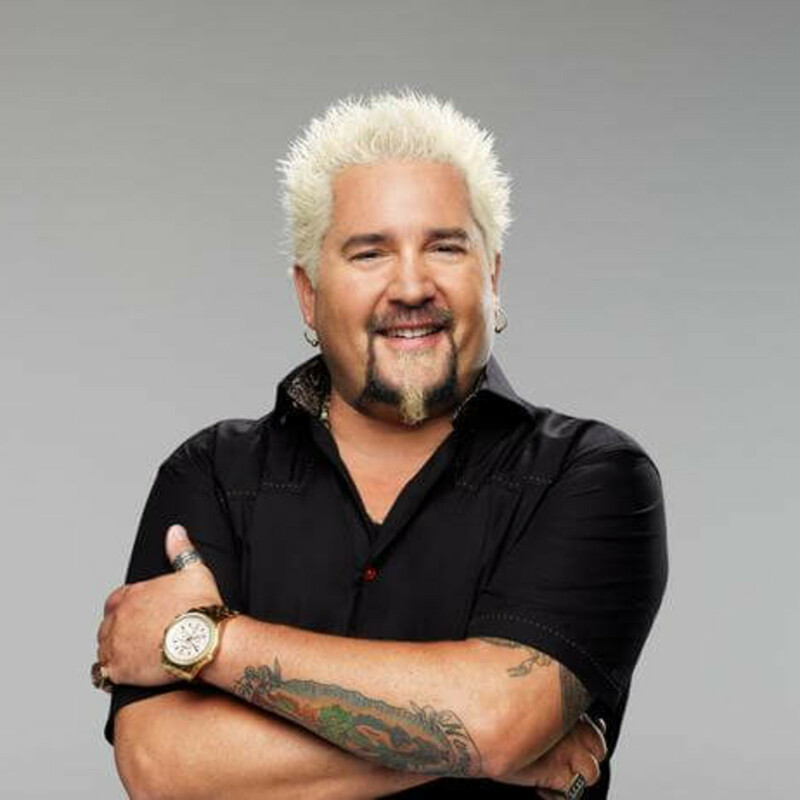 Fieri will be back in Houston for the Super Bowl, where he will host The Players Tailgate Party before the big game on February 5.